I am forty-seven years old. 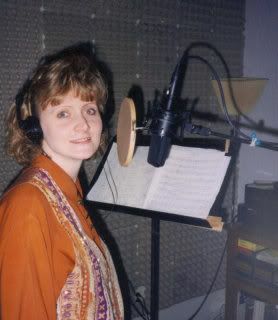 During these forty-seven years of life, I have never been the "newbie" in a band or musical ensemble. Never. And just to prove that point, I am hereby going to take you on a pictorial musical journey so that you can experience along with me my long-running foray into non-newbieness. 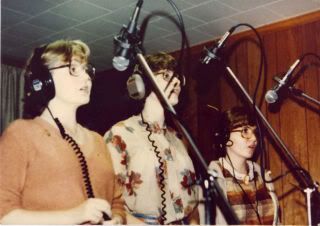 In my later teens, my two younger sisters and I performed together for several years. After taking a two year break from the road, we started up again with Steve and me, my sister, Debbie, and her husband Randy. Then it was just Steve and me as a full time duo. 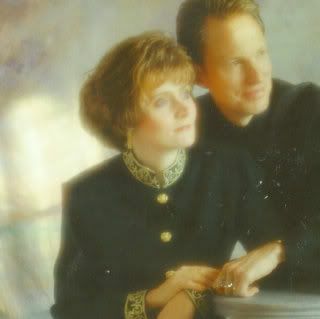 I was four months pregnant with Sarah in this photo. Steve hamming it up for a Garth Brooks style song we wrote. 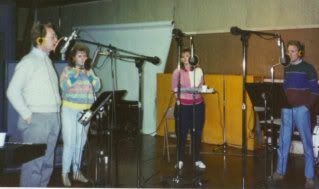 In the studio recording, "Like A Blanket." 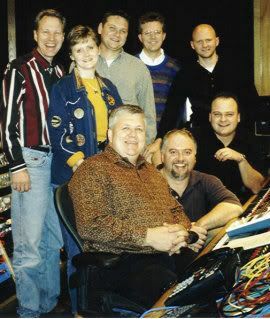 The majority of the guys in this picture (all professional studio musicians) either donated their time or gave us a discount on the session since we recorded that CD to give away to cancer families. 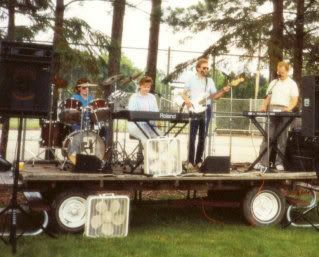 And to go back even further in our musical history journey, I just couldn't resist posting this picture of Steve in one of his early (pre-Becky) bands. Isn't he just the grooviest dude ever? The plaid pants are especially wonderful. 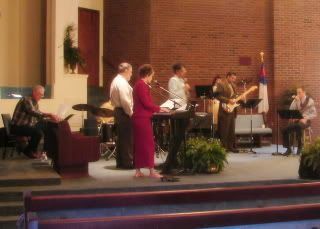 After spending fifteen years spent traveling around in various musical permutations, we left the road and spent 4 1/2 years at First Assembly in Smithfield, where Steve pastored and we headed up their worship band. I happily and encouragingly welcomed various newbies to the band, all the while so thankful that it wasn't me who was new because being new is so scary! This is actually a band rehearsal, which is why I have my shoes off and Steve is sitting down. But then it all changed. 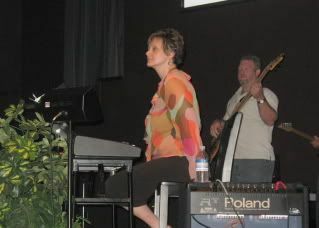 My "never been a newbie" status was obliterated forever when I was asked to fill in on the keyboard at our home church. Now let me just say that I have been listening to this particular worship band for eight months now and I have been so impressed with how good they are. And then they ask ME to fill in on keyboard? Miss Never Been a Newbie? I was a bit nervous (understatement) while driving to the rehearsal Wednesday night. Happily though, the first person I spoke to was the lead guitar player who remembered Steve's and my group from the early eighties. 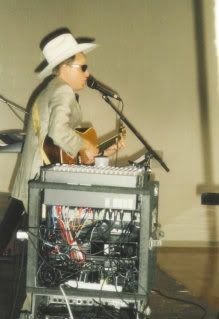 As it turns out, he and his band had played a mini-concert at a particular church as sort of an "opener" before Steve and I and our group sang. How old did THAT make me feel to be discussing music from the early eighties? Yikes. At any rate, the rehearsal went fine and everyone there was very friendly to ye olde newbie. 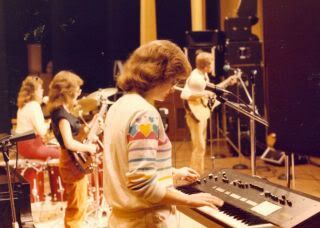 To be honest, I had actually been losing sleep over the whole deal because I just wasn't sure I was up to the musical level of this band, and I could just picture myself crashing and burning in fine newbie style! But lo and behold, I survived. I arrived at the church yesterday at 8 am for another rehearsal. 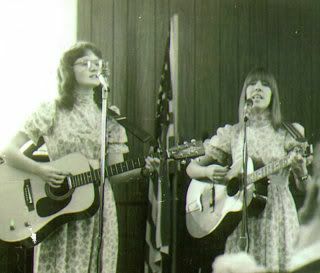 Then at 9 am, the first of two services started. 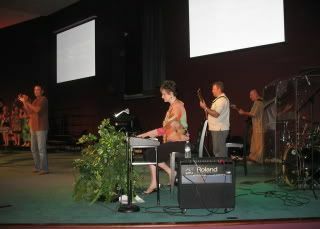 You can see from this picture that I was really rippin' it up on the ol' keyboard. And look me again! 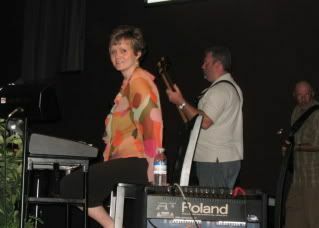 Am I fabulous keyboardist, or what? Oh wait. You mean I was actually supposed to be playing? Although the morning turned out to be very enjoyable, I must say that I was very relieved when we finally left the church after the second service. It's just really a lot of pressure being a newbie after forty-seven years of non-newbiness! But I did it! Hooray! And of course, I had a brownie to celebrate. One cannot successfully become a newbie without a brownie (topped with ice cream) to mark the occasion. Pray for Stellan, He is in bad shape right now. Okay, Becky, I did not laugh at your hairstyles in the photos. Seriously, my friend, you are home again. Right where you belong. And no threat to your gentle vocal chords either. Brava! I am assuming by your lovely face in the last two photos that you are feeling better? Glad to see, er, know, er, believe that. 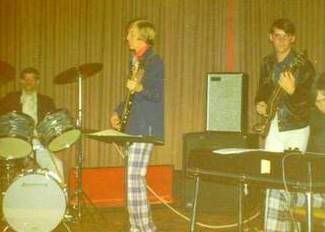 I love Steve's plaid pants! I hope he kept those... it seems like plaid is getting more and more popular again these days. In fact, during my move to Pennsylvania, I'm trying to find as much plaid furniture on Craigslist (yay, the site for people without money!) as I can. Good for you, Becky, for stepping out of your comfort zone and being the newbie.